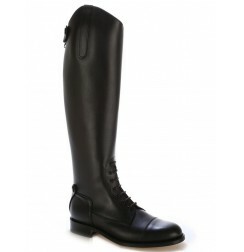 Black leather dressage boot for horse riding. 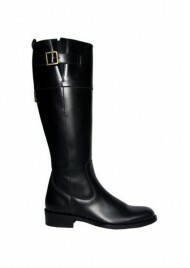 Black leather dressage boots for horse riding. 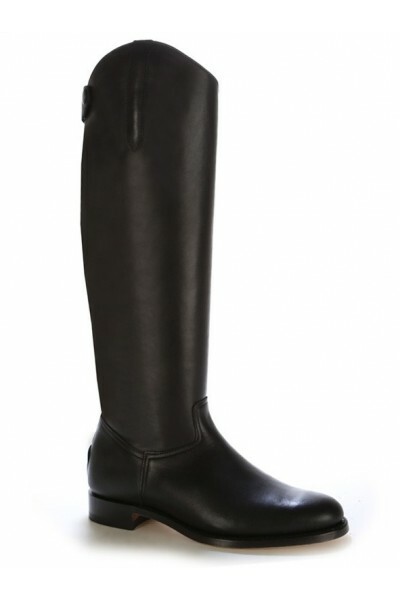 Classical black leather dressage boots. 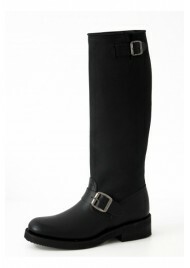 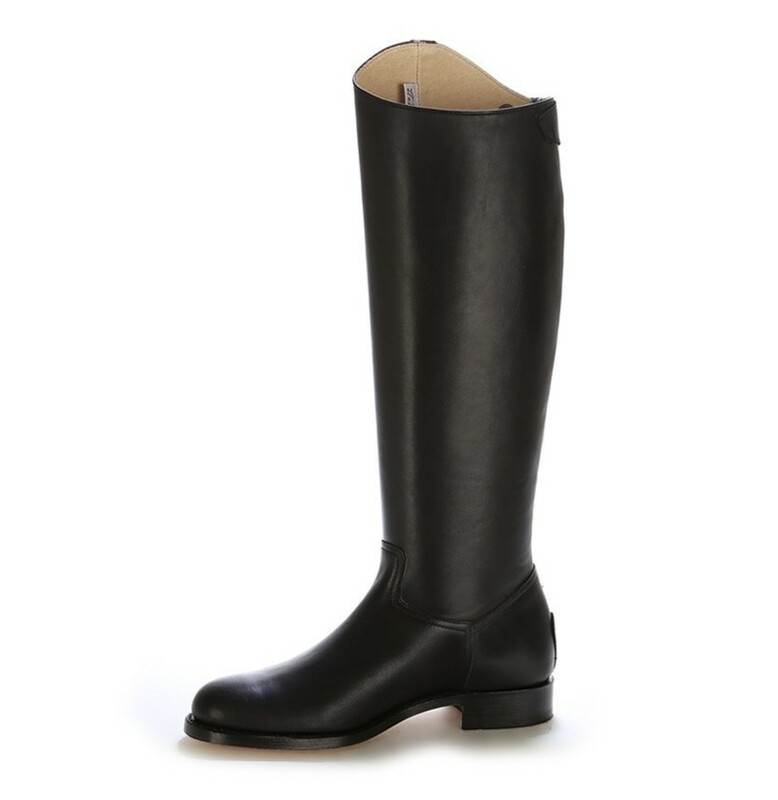 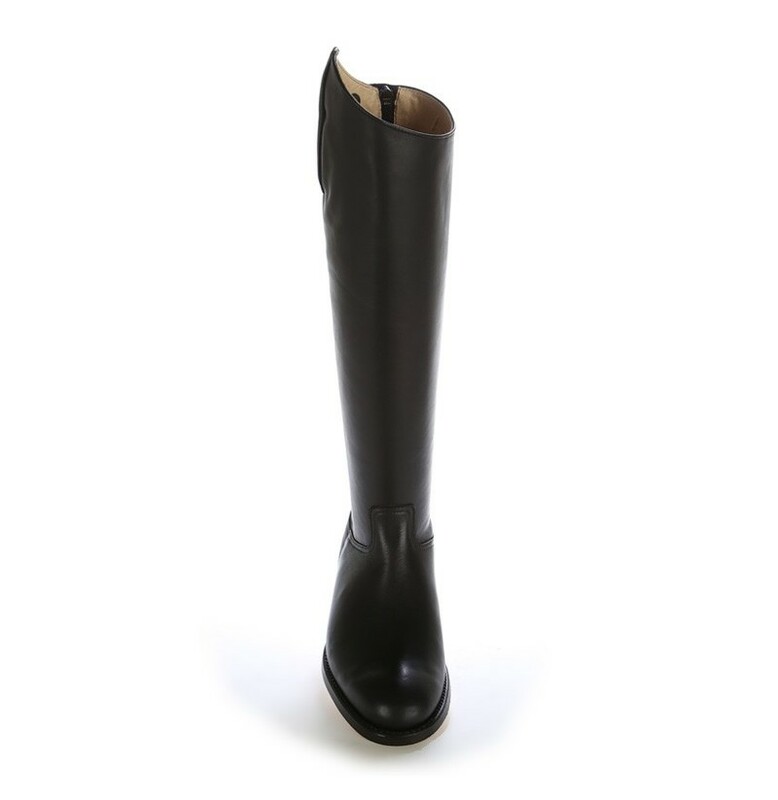 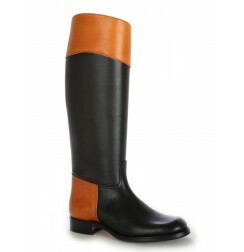 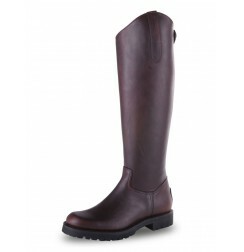 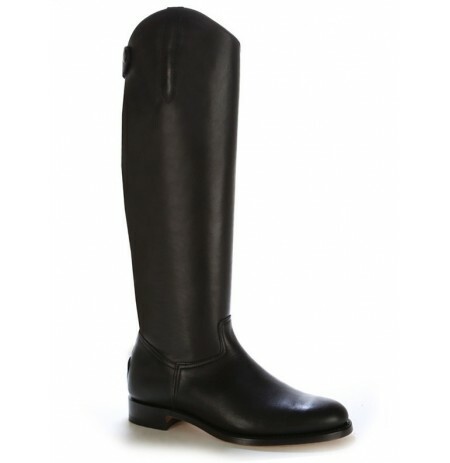 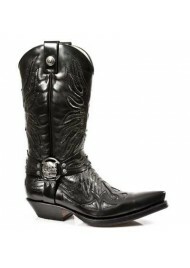 Beautiful riding boot made of black oiled full grain box leather, this boot is made especially for horse riding. 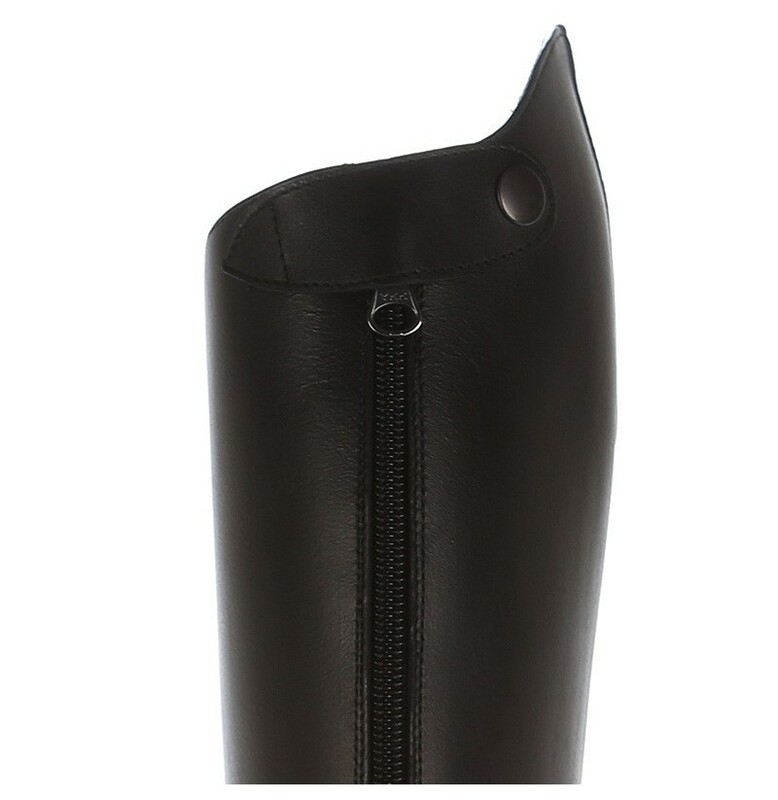 This dressage boot is equipped with a strong and durable full length YKK® zipper positioned at the back of the boot with a buckle at the top to cover the zip's tab in order to not damage the horse. 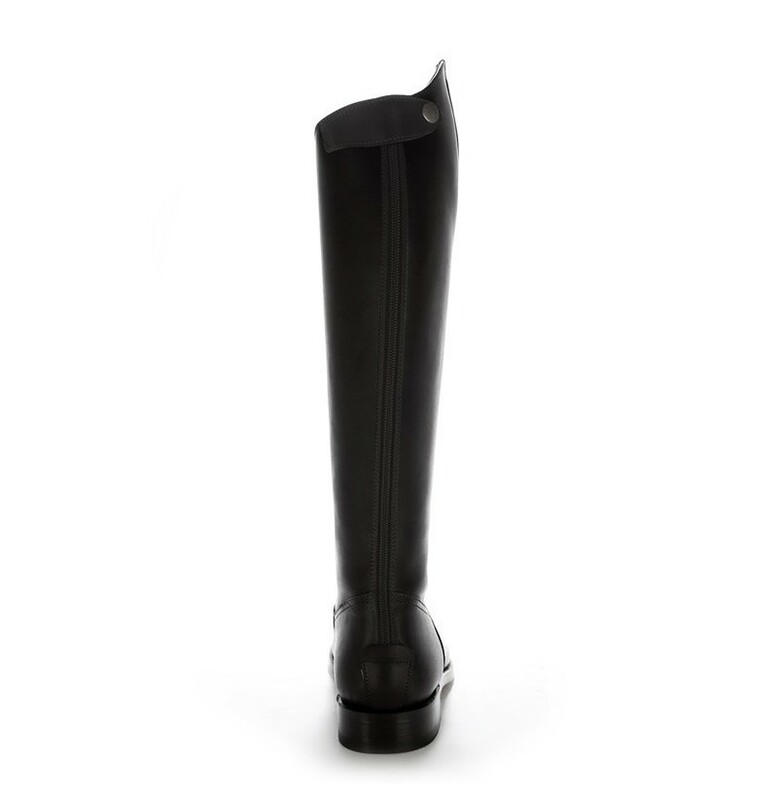 You can observe the asymmetric cut of the upper, very high on the outside of the leg and lower on the inside. 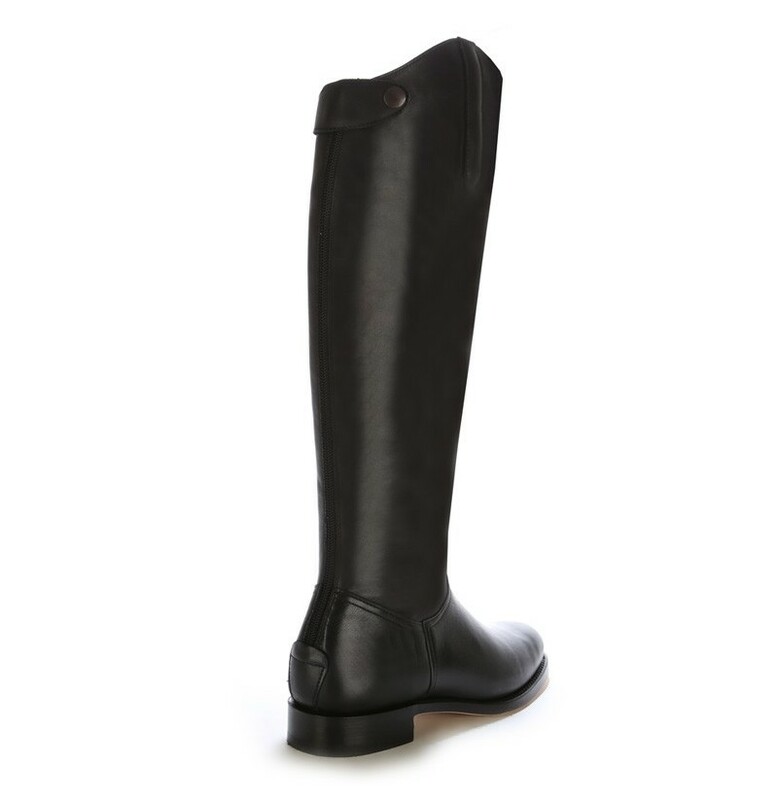 This is the typical wing boots dressage. 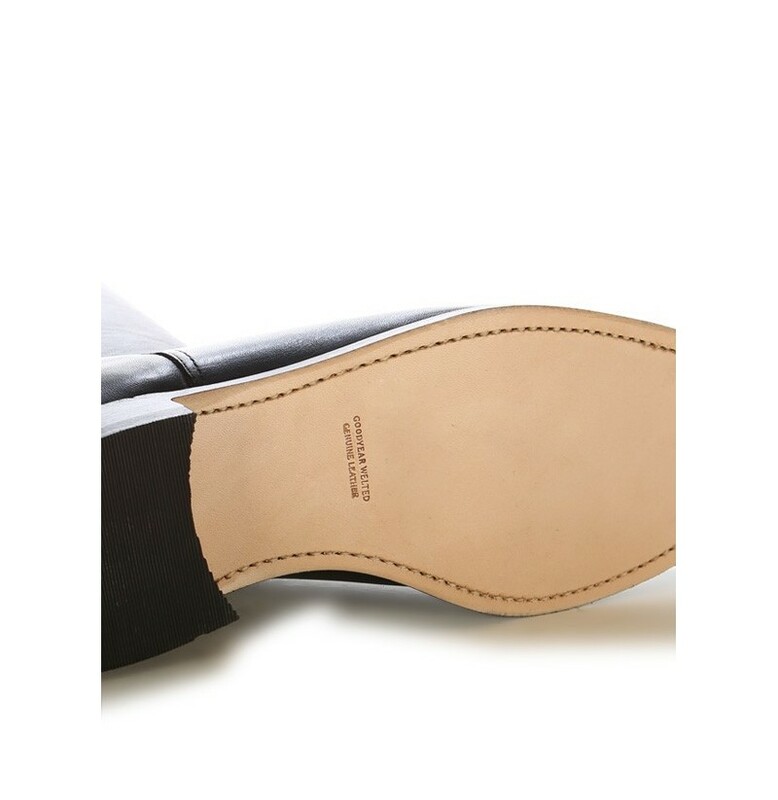 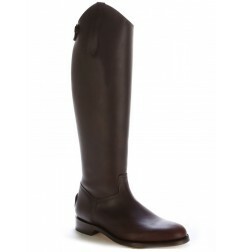 With this English-style horse riding boot, it is very important that the shaft of the boot is very high, so that it doesn't get caught in the horses tail and to not hamper movement. 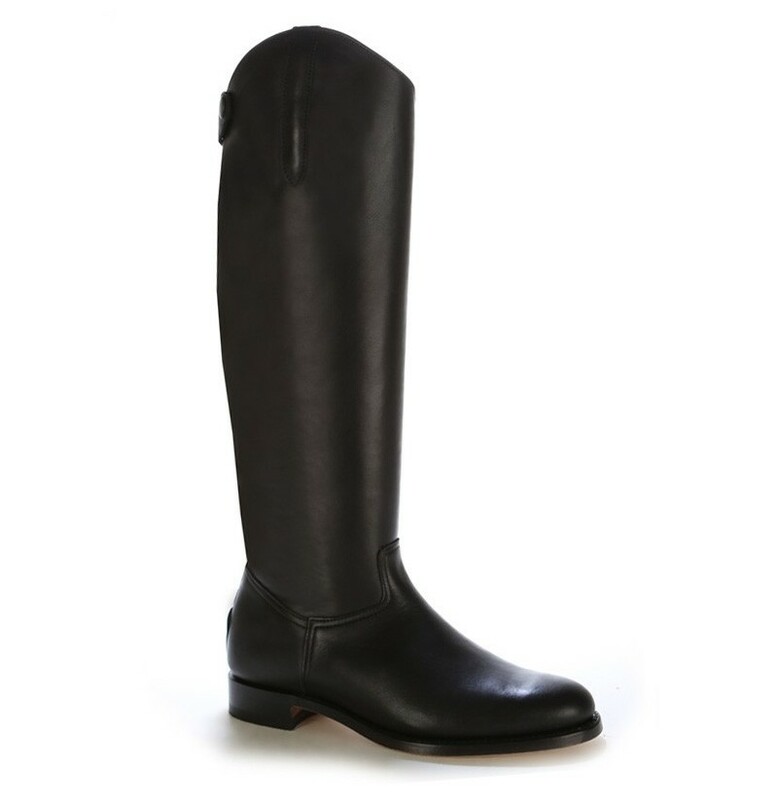 This riding boot is lined with soft leather, using an ergonomically-designed insole for your comfort with sewn on leather soles. 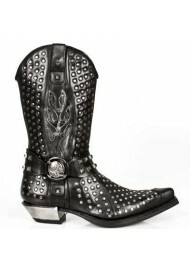 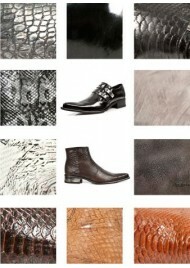 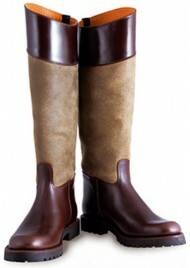 Riding boots are handcrafted by shoesmade4me. 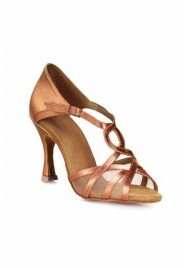 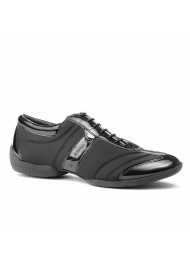 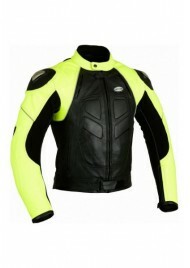 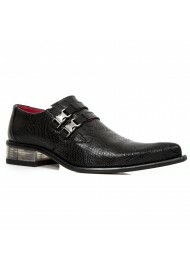 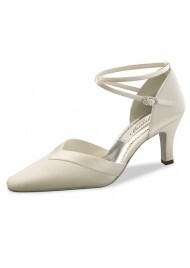 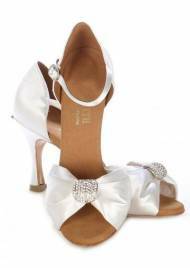 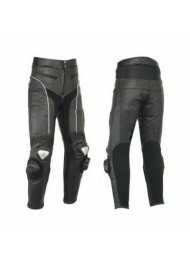 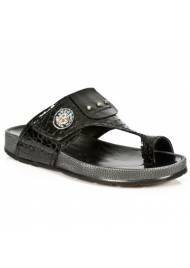 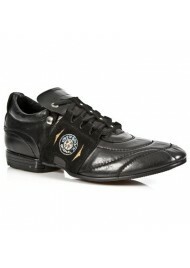 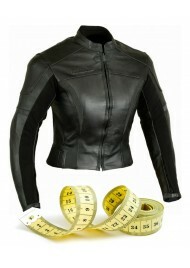 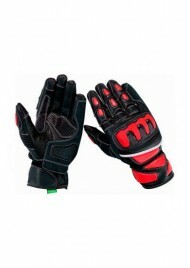 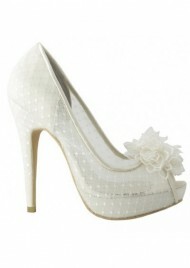 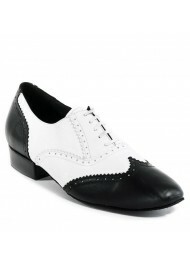 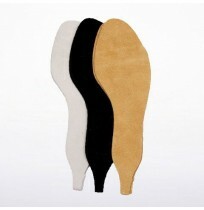 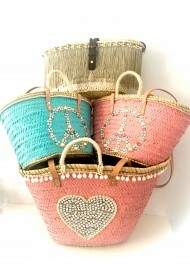 This is a unisex model made from sizes 35EU to 47EU. 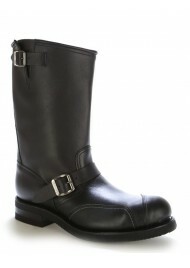 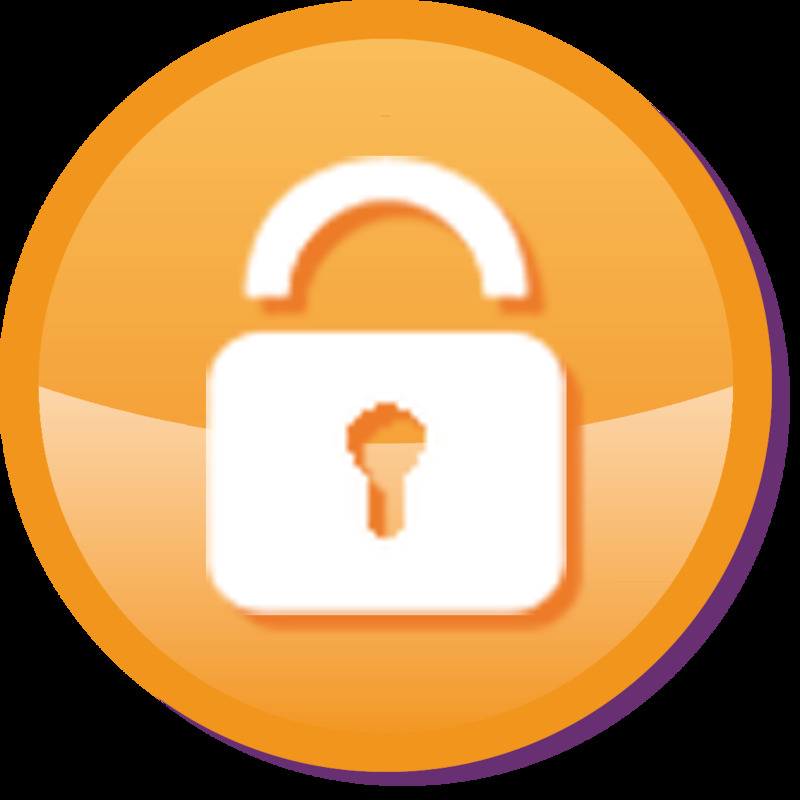 Maintenance : it is recommended to waterproof the boots before the first use. 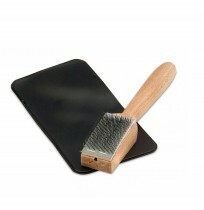 Then, you can use a cleaning lotion.Tip ! 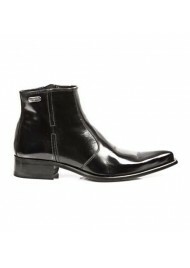 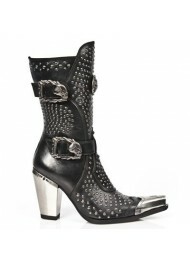 Put some « Nivea » cream, the fact that it is very nourishing makes it perfect for these boots. 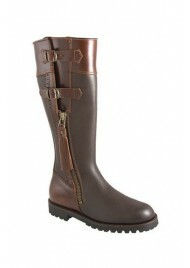 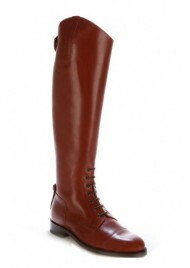 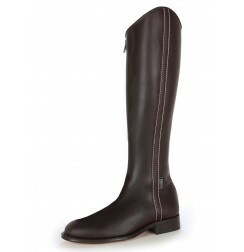 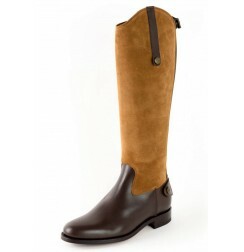 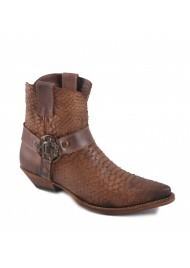 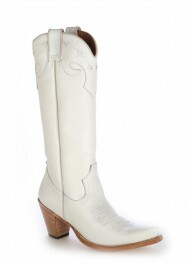 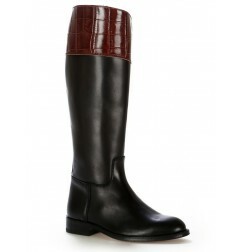 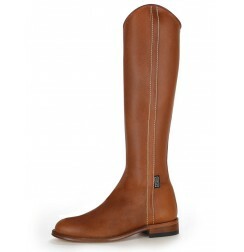 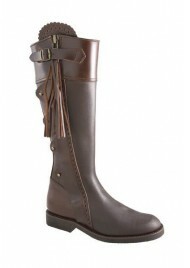 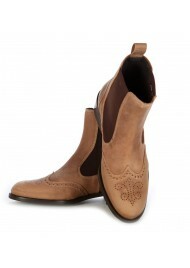 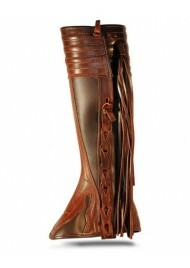 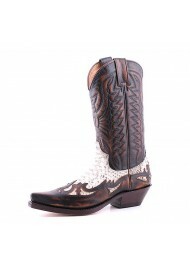 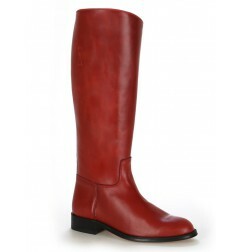 Brown leather dressage mountain horse riding boots.